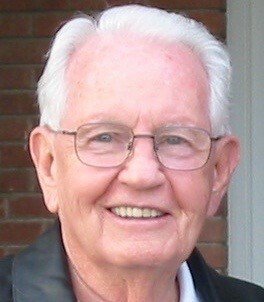 Wendell Paul Droubay, age 96, passed away Sunday, January 20. He was born to John Rowberry Droubay and Annie Shields Droubay on July 1, 1922, and grew up on the family farm in Erda, Utah. He was the eldest of six siblings. As a boy he was the instigator of numerous pranks, jokes, and fun. His growing-up years were happy, filled with love, hard work, and a foundation of faith that would stay with and serve him throughout his life. As a teenager he met and began to date “the prettiest girl in town”—Geraldine Shields. They married in 1941. They are parents to four children: a stillborn daughter, Wendell Paul, Jr. (Kathleen) of Brigham City, Leslie, who lived but two days, and Richard Allen (Lynne) of Tooele. Dad is proud to claim eight grandchildren, twenty-six great-grandchildren, and two great great-grandchildren. His happiest moments were spent with his family, who love him dearly. Dad was a life insurance professional, working for Metropolitan and then New York Life. He was the recipient of numerous awards and accolades for his tireless work in his chosen field. He loved his country, serving over many years in district political positions. And he loved the Gospel of Jesus Christ, serving eagerly and faithfully in numerous callings in the Church of Jesus Christ of Latter-day Saints, including service as bishop of the Tooele 6th Ward, and as a member of the presidency of the Tooele Stake. Dad and Mom have loved to travel, journeying to locations throughout the United States, Canada, Hawaii and Europe. They served an 18-month mission to Austria where they supported a branch of the Church and fed the young missionaries, loving the Austrian people, and seeing some of the sights along the way. One of their favorite spots was Hebgen Lake in Montana where, each summer for more than two decades, they gathered with family for a week of fishing, sightseeing, and relaxation. They enjoyed Lake Powell in the heat of the summer, and family Christmas gatherings at the holiday season. Dad loved the Lincoln automobiles he drove, and the boats he owned and towed thither and yon. He is survived by his wife of 77 years, Geraldine, sons Wendell (Kathy) and Richard (Lynne); grandchildren Greg, Jeff, Kimberlee, Ryan, Mike, Chris, Kelli, and Brian; by the whole bunch of great and great, great grandchildren, and by his beloved sister Bertha (Dwight Clark). He was preceded in death by his beloved parents; by siblings (Ruth, MerLynn, Bob, and Kathleen), by his stillborn daughter and baby Leslie. He has left his family a legacy of love, faith, service, hard work, and loyalty to God and country. Funeral services will be held Monday, January 28 in the Tooele Stake Center, 253 S 200 E, at 11:00 am, with viewings Sunday evening 6:00 to 8:00 pm at Tate Mortuary in Tooele, and Monday morning from 9:30 to 10:45 at the church. We express our sincere gratitude to Canyon Health and Hospice in Tooele, and to the staff at Charleston Assisted Living and to Brighton Hospice in Cedar Hills; also to Tate Mortuary for their kind and professional assistance.